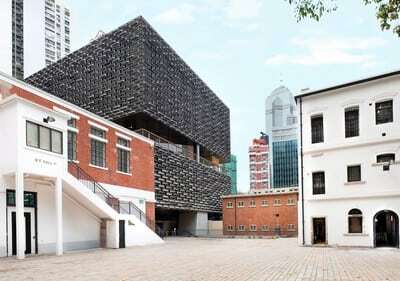 In Tai Kwun, Hong Kong is the highly anticipated restoration of the former Central Police Station compound, and the revitalised Dr Sun Yat-sen Historical Trail, are recently the most sought-after cultural landmarks in the vibrant neighbourhood of Old Town Central. Visitors are highly recommended by the Hong Kong Tourism Board to embark on an in-depth exploration of these historical and cultural attractions in this quintessential neighbourhood. After more than a decade of revitalisation, Tai Kwun — colloquial Cantonese for “Big Station” – has finally come alive amidst the hustle and bustle of Hong Kong’s CBD. Through Tai Kwun’s legends and stories, visitors would be able to immerse themselves into a historic Hong Kong. Home to three declared monuments – the former Central Police Station, Central Magistracy and Victoria Prison, Tai Kwun has witnessed over 170 years of Hong Kong’shistory. Don’t miss the rare chance to peek into its days as a historical prison, where Vietnamese revolutionary leader Ho Chi Minh was once jailed in the 1930s. In addition to year-round exhibitions of Heritage and Contemporary Arts in a historical setting,visitors are welcome to enjoy meticulously programmed performances against the magnificent view of the 19th century police headquarters under a 60-year-old mango tree on the parade ground. Tai Kwun is more than just a heritage — it is a destination for everyone, from arts and culture lovers to causal visitors. The Dr. Sun Yat-sen Historical Trail, established in 1996 to commemorate the founding father of modern China, has recently received a new look. The revitalised trail integrates art elements with the unique cultural and historical ambience of Central and Western District. Under the theme of “art across time”, nine local artists were invited to transform 16 memorial plaques into art installations along the trail, enriching the city’s cultural characteristics. Technology is another new element injected into the revitalised trail. Visitors can learn more about related history of the trail, and artists’ creative ideas, by scanning QR codes imprinted on the artworks with their handheld devices.